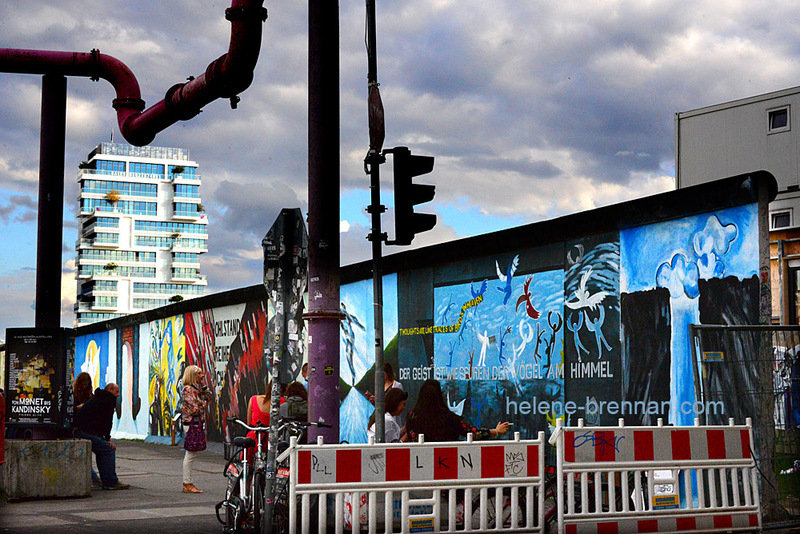 Mural paintings on the old Berlin Wall, now known as the East Side Gallery. The pipes are apparently everywhere in the city, draining water from the many building sites. They are often just in the way when one is taking photos, but sometimes one can use them in the composition, as I have attempted to do in this photo.